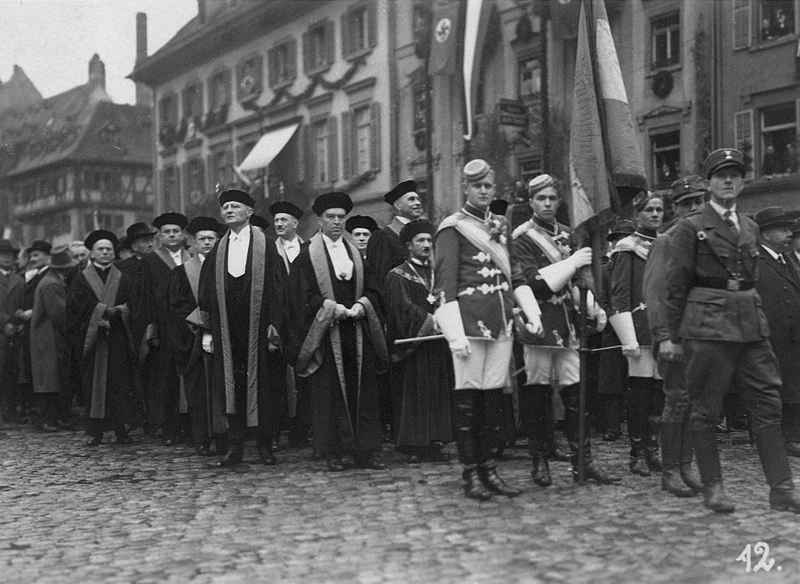 Heidegger, middle of 2nd row, on his way to give his first address as Rektor of the University of Freiburg, 27.05.33. He joined the Nazi party on the 1st of May. Whilst in ordinary life every shopkeeper is very well able to distinguish between what somebody professes to be and what he really is, our historiography has not yet won this trivial insight. It takes every epoch at its word and believes that everything it says and imagines about itself is true. This entry was tagged capitalist ideology, Martin Heidegger, philosophy. Bookmark the permalink.